WHITTAKER, thou rare raconteur, When I take my summer saunter To the mountains, Lo! I hunger not, and never Am athirst, for thou are ever Living fountains! 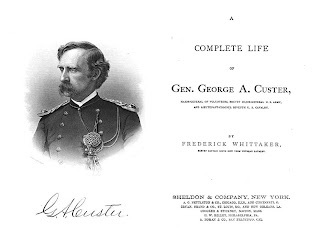 One of the more complex popular novelists of the mid-Nineteenth Century was Frederick Whittaker (1838-1889), cavalryman, biographer, spiritualist and labor crusader. 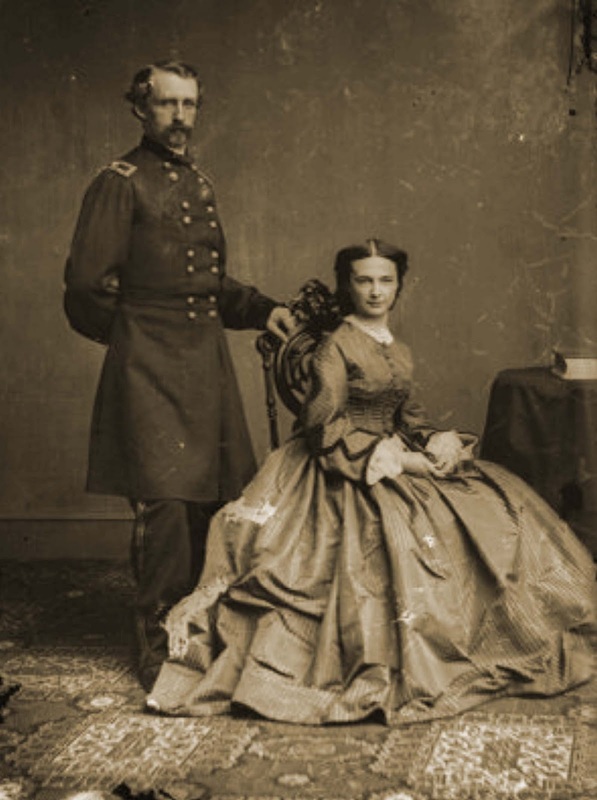 Frederick Whittaker, son of Henry Whittaker and his wife Catharine Maitland, was born in London December 12, 1838. His father was a solicitor, but, having endorsed some papers for a noble client who defaulted, he was obliged to flee to the Continent to escape being imprisoned for debt. He lived with his family for several years in various towns and in 1850 came to New York City, where he obtained a position as managing clerk in a law office. Frederick's education was limited to six months in a private school in Brooklyn, conducted by a Mr. Walker. His father wished him to become a lawyer, and at the age of sixteen he was entered in the law office of N. Dane Ellingwood, as office boy. He was, however, not interested in law and several years later he was working in the office of Henry G. Harrison, an architect, but a defect in his eyesight compelled him to relinquish this work. 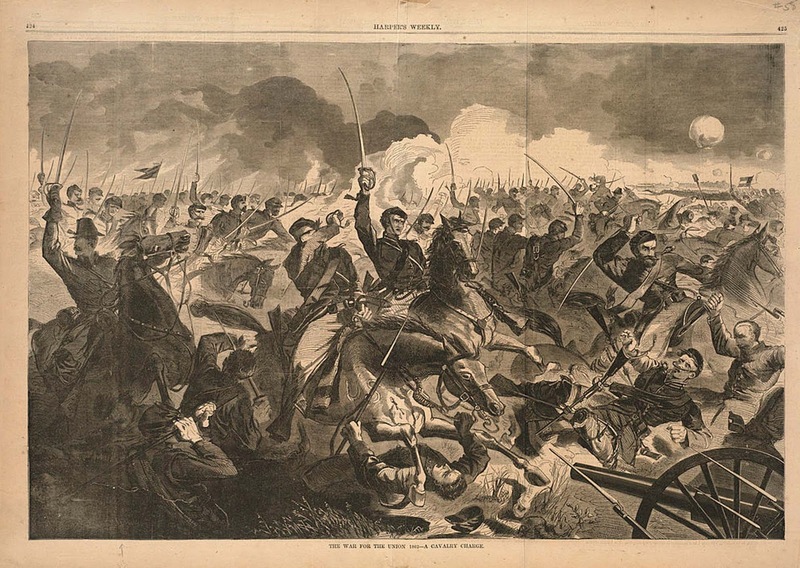 Just before the breaking out of the Civil War he had had an article published in The Great Republic Monthly, and hoped to become a writer. 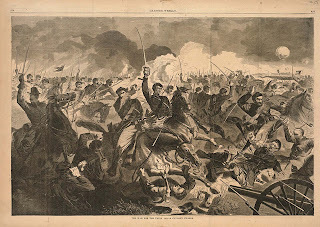 When war broke out, he enlisted November 11, 1861, at Camp Scott, Staten Island, as a private in Company L, 6th New York Cavalry. He was transferred to Company D in the same regiment February 16, 1863, and was honorably discharged December 15, 1863, as a corporal, to enable him to enlist as a veteran volunteer. He re-entered the same organization December 16, 1863. 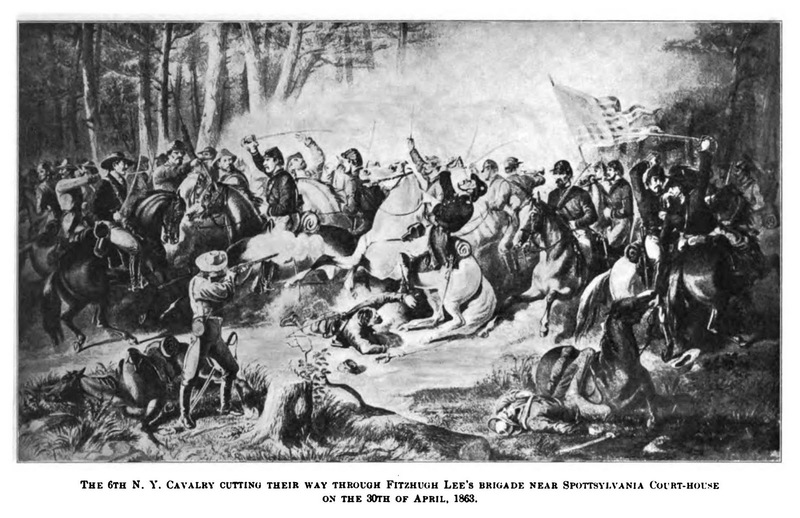 In the Battle of the Wilderness, in May, 1864, he was shot through the left lung and was promoted to 2nd Lieutenant on February 12, 1865, in Company A. 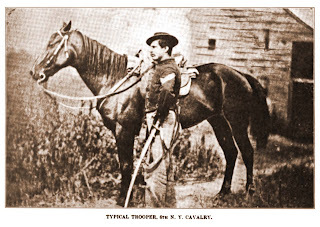 He was mustered out and honorably discharged August 9, 1865, as 2nd Lieutenant, Company A, New York Provisional Cavalry. 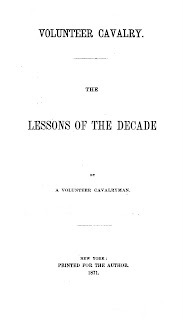 Nothing has been found of record to show that he ever received the brevet rank of Captain, but there is a letter in the "files of the National Archives,” from James D. McClelland, a member of the New York State Senate, dated October 10, 1911, in which he stated that Frederick Whittaker "was made Brevet Captain after the War for bravery in action." After the war he worked as a book agent for a while, and then taught school. 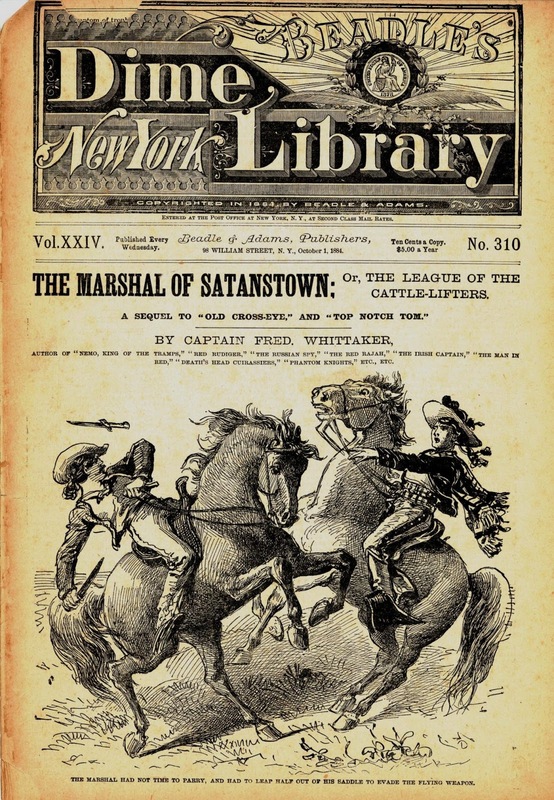 When Mayne Reid established his magazine Onward in 1869, Whittaker wrote for it, the first item published being a little song entitled "Starlighted Midnight." This was followed by several other poems and a sketch, "Shot by a Sweetheart," but when Reid's magazine ended in February, 1870, Whittaker began to write for Frank Leslie. 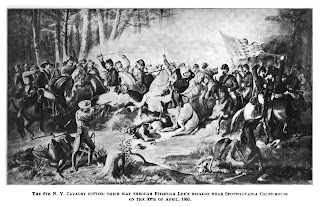 After inheriting some money from English relatives, he married and bought a house in Mount Vernon, New York, where he lived the remainder of his life. He now settled down to steady literary work and wrote for various journals. 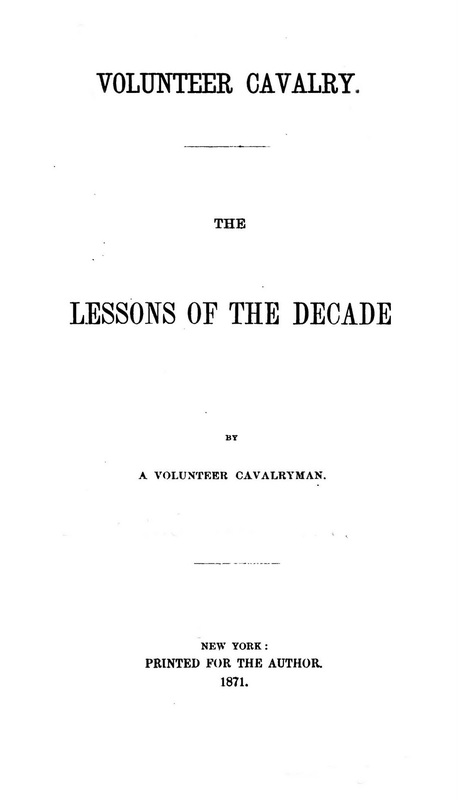 In the Army and Navy Journal for January 21 and June 3, 1871, he had a series of articles: "Volunteer Cavalry, the Lessons of the Decade, by a Volunteer Cavalryman," in which he gave personal experiences during the war. 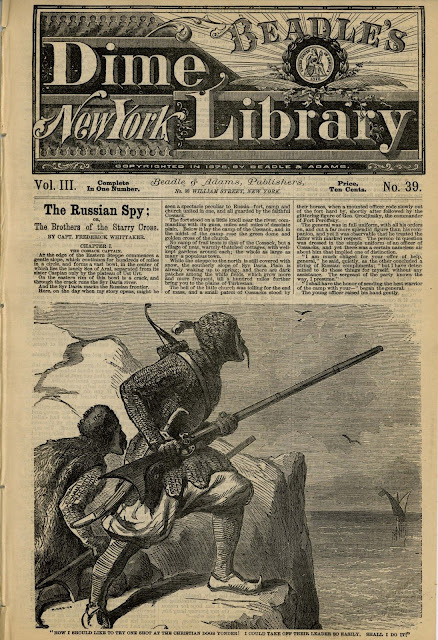 He also wrote for the Galaxy, the Fireside Companion and for Beadle's Young New Yorker, Saturday Journal, and Banner Weekly, and turned out a great many dime and nickel novels, mostly stirring stories of adventure of the swashbuckling type. They were well written, without padding, and were about the best of the kind. In 1874 he was made National Guard editor and later assistant editor of the Army and Navy Journal. 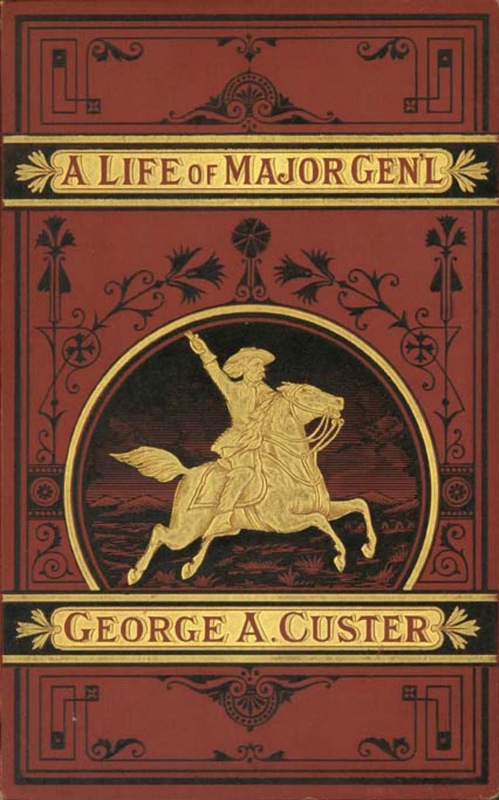 He resigned for the year 1876 to write his "Complete Life of General George A. Custer," but in 1877 he was back with the Journal and remained connected with it until his death. About two years before he died he became interested in spiritualism and was an enthusiastic worker in the cause. He was almost insane on the subject and "of late had frequently commanded that every member of his family should think as he did. His argument was that there should be harmony between his wife and children and himself in order to have close communication with the spirits." 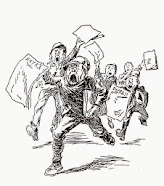 He was always of an excitable disposition, irascible, and at times became extremely violent. He was interested in the International language Volapuk, and shortly before his death had asked those interested to meet at his home. (Volapuk, one of dozens of attempts at a “universal” language, was created by Johann Martin Schleyer (1831-1912), a Roman Catholic priest from Baden, during 1879 and 1880. Schleyer believed that God had instructed him in a dream to usher in a new era of peace. A secondary universal language could help to overcome intercultural misunderstandings and end human strife. Although Volapuk was eclipsed by the simpler Esperanto around 1890, there are still quite a few diehard Volapuk adherents.) 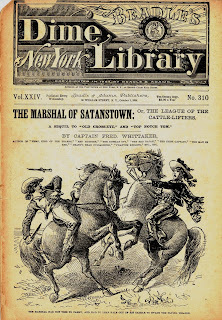 Captain Whittaker was a follower of several “New Age” ideas and fads, long before they formed a part of mainstream American consciousness. 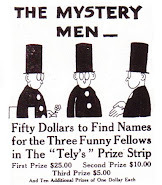 “Spiritualism,” first popularized by the table-rapping Fox sisters in the 1850s, attracted many intellectuals and a fair sprinkling of celebrities, including Mary Todd Lincoln and Sir Arthur Conan Doyle, to “mediums” and seances. Although his prodigious literary output brought in a comfortable income, he seems to have run into debt. On the thirteenth of May 1889, returning home from the office of the Mount Vernon Record, for which he wrote, he met his wife at the door, said a few pleasant words to her, then ran up stairs. He always carried a revolver in his pocket and, apparently taking it out to put it away as was his custom on returning home, when he reached the head of the stairs his cane seems to have caught in the banisters, tripped him, and he fell, breaking the rail. His pistol exploded and he was shot in the head, dying in half an hour without regaining consciousness. His wife, three daughters, and a stepson survived him. He and his wife are buried in St. Paul’s Church Cemetery, Mt. Vernon, Westchester County, New York. 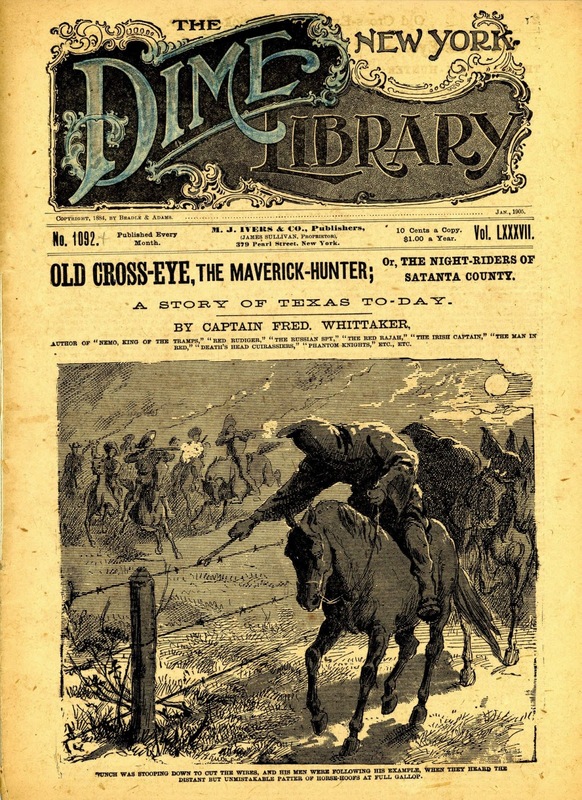 During his long association with the publishing house of Beadle and Adams, Whittaker turned out an astonishing quantity of exciting fiction on a wide variety of subject matter. After the great “strike year” of 1877, and the rise of American labor unions, Whittaker became a champion of the downtrodden workingman in such novels as Nemo, King of the Tramps, John Armstrong, Mechanic, Norman Case, Printer and Larry Locke, The Man of Iron. 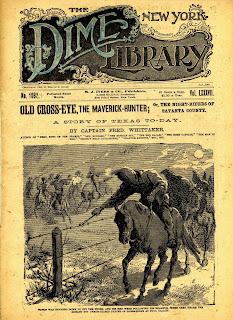 Although not a frontier character like other Beadle authors, his western stories have a ring of authenticity, particularly his trilogy about the range wars in Texas: Old Cross-Eye, Top-Notch Tom and The Marshal of Satanstown. Other stories were set in the South American pampas, the Balkans, the South Seas and other exotic locales. Whittaker was associated with Thomas Hoyer Monstery (1821-1901): the self-styled “Champion-at-Arms of the Two Americas,” and may have written some of the Beadle novels credited to him. The sequel to a novel about the scout "California Joe" Milner signed by Monstery carried Whittaker's by-line. The writing styles of the two stories is similar. He wrote a fictionalized biography of Monstery in 1882 for Beadle’s Boy’s Library of Sport, Story and Adventure. 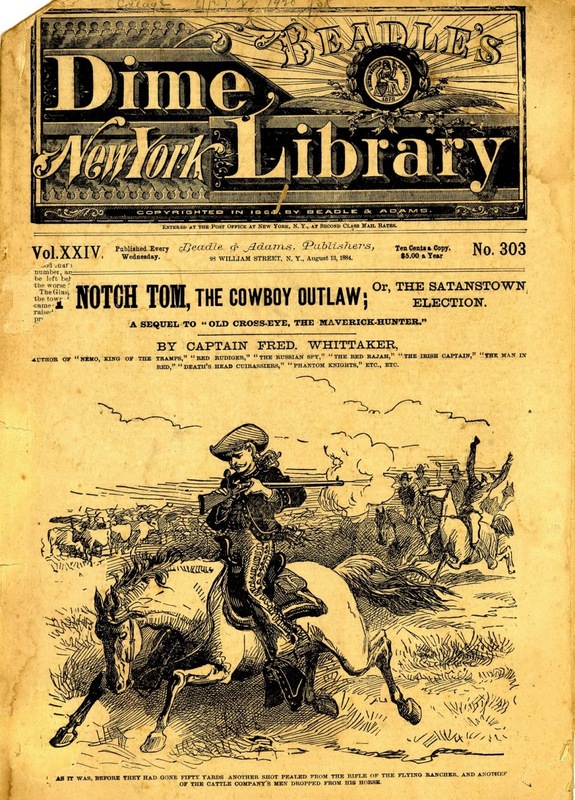 In 1884, he penned a brief defense of dime novels “by a writer of them” for the New York Daily Tribune.